I was planning on doing my own personal Kindle challenge in 2016, but what better way to start then joining up with an already organized challenge? 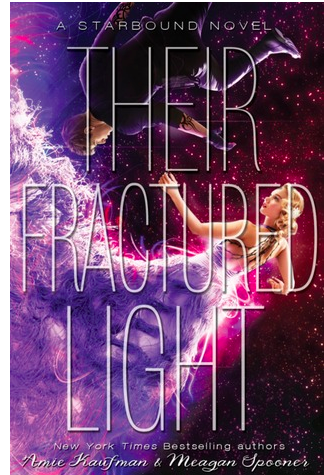 I have so many ARCS sitting on my kindle that I never got to and now I have an excuse to read them. With all the other books/challenges I plan to try I think I will try to get through 8-10 e-ARCS. The Clean Out Your E-Reads (COYER) Challenge is hosted by Fantasy is More Fun, Because Reading & Books, Movies, Reviews! Oh My! It lasts from December 19-March 4. Read Your E-Reads! Every book you read must be in an electronic format – meaning E-Book or Audiobook. It’s okay to start a book before December 20th, you must be less than half way for it to count then review it during COYER. The books must be FREE or NEARLY FREE! This includes library books, review books, tour books, NetGalley, Edelweiss, etc. What’s nearly free? No more than $5 for ebooks and no more than $16 for Audiobooks (or the equivalent in your currency). Announce your participation! This can be a blog post (or if you don’t have a blog – Facebook, Twitter, Google+, Booklikes, Goodreads, Shelfari, etc.) If you want to list books you would like to read, that’s great, but not necessary. The point is to let us know you’re committed to COYER, maybe share some goals, and help us spread the word. Review & Link Reviews! Your review may be on your blog, Goodreads, Shelfari, Booklikes, etc. Link the review to the Review Linky (we will share this December 19th). We will randomly pick three review links to win a $10 gift card to Amazon or Barnes & Noble. All links must be entered by March 5, 2015 at 11:59 PM EST. This is a weekly blog meme hosted by Parajunkee’s View and Alison Can Read. Honestly, I’m just starting out in the blogging world and I have a lot to learn. What better way to learn than to find a bunch of new blogs to follow and meet other book bloggers? I’m not really big on other forms of social media, so I thought this would be a good idea to put myself out there! Well, obviously I would love to live in the HP universe, but since everyone probably agrees, I’ll also add that I think I would like to live in The Percy Jackson world. Having a Greek or Roman God for a parent might be nice! And because I just finished the series, I’d like to live in the Lunar Chronicles World Post-Winter. Thanks for checking out my blog! If you have any advice please feel free to tell me! Just one more is a weekly feature here where I bring together the insane amount of books I add to my TBR list in the span of a week. I rarely read classics. I just don’t like them that much. But every year I tell myself I’m going to read at least one classic a month and every year I usually fail. So now I’ve decided to join a public challenge which which hopefully hold me accountable! You can read all about the 2016 12 Month Challenge here. I’ll be happy if I read at least 6 of these! 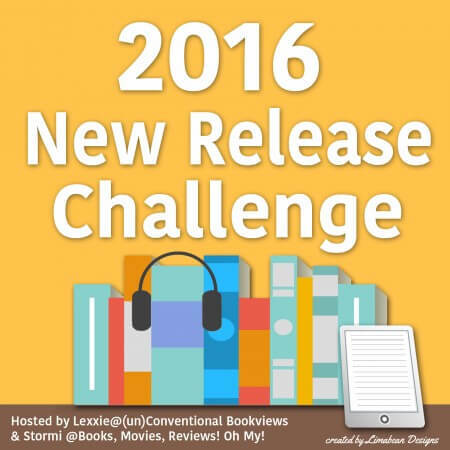 I’m signing up for the 2016 New Release Challenge. The 2016 New Release Challenge is a year-long challenge in which we aim to read books released in 2016. The challenge is co-hosted by Unconventional Book Views and Books, Movies, Reviews Oh My! There will be monthly update posts, and each quarter – the end of March, end of June, end of September and in December, there will be a giveaway with the update as well. The sign-up and rules can be found by clicking on the links above. The book has to be released and reviewed in 2016. Other challenges can be used as well, if you are participating in the Netgalley/Edelweiss challenge or in the COYER challenge, books can count towards more than one challenge, as long as the ones you use for the 2016 New Release Challenge qualify to the other rules. The minimum length for a book to qualify is 100 pages. The book can be in any format: physical, e-book, ARC, audio book, etc. The New Book Release Challenge is open from January 1st through December 31st 2016, and sign-ups are open until February 15th 2016. My overall reading goal for 2016 will probably be anywhere from 150-175 books so I think I will go for the New Release Pro, which is to read 16-30 new releases. 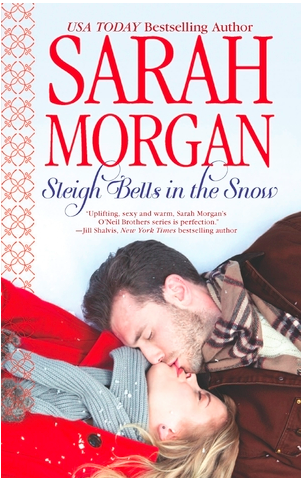 I’m really looking forward to this because I often fall far behind on reading new releases every year! My first official challenge as a blogger! Yay!